What do I feed the little black ragwort? What kind of toys will they like? What sort of maintenance supplies should I keep on hand? What about leashes, halters, collars and coats? 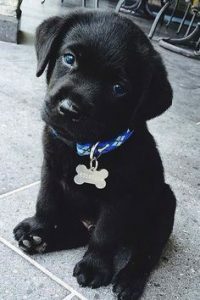 Those are all valid concerns and I will try to point you down the right path to provide answers or at least direction so that you can make informed decisions about the needs of your new puppy. Lets first talk about food. 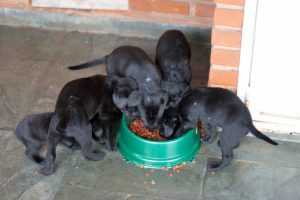 In addition to what I wrote here, be sure to take a look at the article called What is the best food for a Black Lab Puppy. It goes into the type of food I feed my black rascal Guinness and the reasons why. The choices you make early on will determine a lot of attributes and attitudes about eating that your dog will have. That is why it is so important to start your puppy off on the right track. Generally, your puppy should be around 8 weeks when you get them. They are use to being with the rest of the litter and still nursing, (to a small extent), from mom. They still have baby teeth and are not real good at eating dry kibbles 100% yet. So you need to change two thing about your feeding habits for your new pup. First, unlike a full grown dog where you feed 2 times a day, you are going to want to feed your baby 4 times a day. This is a good transition from nursing mom approximately every 2 -3 hours. When your pup gets permanent teeth you can change it to the normal 2 times a day. It will also be a good idea to moisten (not soak) the kibbles a bit if it appears that they are having a tough time chewing the dry food. Follow the amount to feed as advised by the manufacturer and you should be good. You are going to find out that your new little puppy does not like being alone at night. Cry, cry, cry like they are being tortured in Guantanamo! They are used to being snuggled with mom and sibling with warmth and companionship. So this new life outside the litter will be a little hard at first. They will live and so will you.. but it is generally not much fun that first week or so. Having a bed that snuggles them in is a good choice. Take a look at this bed on Amazon. It has high sides to snuggle the puppy in, it also comes in a Jumbo size for a little bigger dogs. (lots of colors too) and even though it is durable, it is soft to the touch. When you put you dog to bed at night in this bed, put in a sweater, or sweatshirt of yours. Your puppy will smell you and that will help reduce the anxiety of being alone. A lot of the time they play with things they should not play with. When this occurs you need to do two things: first remove the little troublemaker from what ever he was playing with that was not allowed (Mom’s Alpaca Scarf) and redirect them to a toy that is ok to play with. 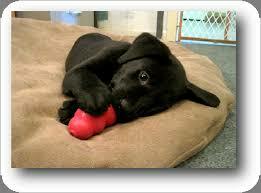 I wrote a pretty extensive article on the 5 best toys for a Black Lab, but toys for a puppy are a little different. You need to get toys that resemble the toys that they will play with when they get older. Puppy’s learn by repetition and if you give him a toy that looks like Mom’s Alpaca Scarf, it wont be long before they start playing with Mom’s Alpaca Scarf. See the connection? toy on hand to chew on rather than the chair legs to the dining room table or your Dooney and Burke Purse. Amazon has a ton of puppy chew packs that contain a variety of different toys.. both chew and soft. These multi packs will afford you the ability to figure out what your pup really likes without having to either force something on them they don’t like too much or make you take several trips to the store to find something else that fits the bill. Here is a link -> to the Multi Packs on Amazon. No reason to fret or worry, the bottom line is that your puppy is going to make messes. Notice I didn’t say make a mess. It will be messes.. plural. From plants being torn out of the pots, to poo on the kitchen floor, urine in the hallway and holes dug in the flower garden. A puppy simply does not know out of the box what is right and what is wrong. You have to be patient and understanding and teach them. So load up on cleaning supplies, paper towels, shop rags, pine sol and brooms because you will need them. Having a ton of extra patience might be a good thing to have as well. When your pup does things that you see as unacceptable, they need to be scolded and moved to a new activity that is acceptable. Rinse, Wring-out and repeat. Your pup learns by repetition. “Accidents” are common in the early days of puppy-dom. One of the things that we did that helped in potty training Guinness was to take him outside, at night, on a regular schedule to go potty. My wife and I would take turns and on alternate nights (this method insures at least one person gets to sleep all night) go down and get him and take him out side to wander around a bit and he would pretty much every time, go pee.. if not #2. We did this every two hours all night for about the first month. He slept at night in a large dog crate, the biggest one we could find. I am not a firm believer in dog crates, but there use was probably unavoidable in his first month. It enabled us to know he was safe, our house was safe and he got used to sleeping in his bed. Our office is located below our loft bedroom and that is where Guinness slept. We installed a dog door in the office door that leads to the back yard. After about a month of taking him out side every two hours, we built a plywood tunnel about 2 feet long and placed it between the dog door and the crate. He quickly figured out how to use the dog door on his own and from then on went outside on his own to potty. Even during the day, “the accidents” stopped. For those who are interested here are links on Amazon to the type of doggie door we use (it is durable) and the crate we had (even a caveman could open it). these come in different sizes and also in different colors. Get the biggest one your wallet will allow with cringing. Last on my list is leashes, collars, halters and coats. I will start with coats. I have never gotten a coat for Guinness. I seriously don’t think he ever gets cold. Let me rephrase that.. I don’t think he seriously ever gives a second thought to being cold, because there is so much cool stuff in the world that is more engaging. Black Labs, and/or Labrador Retrievers in general is what this site is about and so it follows that a coat for a lab really serves no purpose (maybe for a fashion statement?) 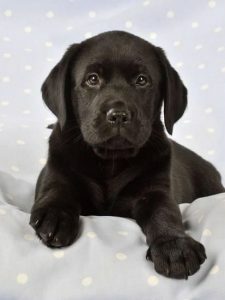 Labs are double coated, that being they have a sleek water repellent layer on the outside and a fuzzy dense furry layer next to their skin to keep them warm. To illustrate this my daughter took Guinness down to the Bitterroot River in Western Montana one February morning to go for a walk. The first thing he did was go jump in the river.. He thought he was having the time of his life and cold did not even come to his mind. On a different note, my wife has a chihuahua / miniature pinscher (min pin) that is almost always in a coat from October to April.. So, indeed some dogs need coats. Guinness always has a collar on. We use a nylon collar with a stainless steel clasp. It has his name and our phone number on the collar. If he decides that following the Fed Ex driver is more exciting than staying home and he ends up at the neighbors, they will have a way to let us know. We use nylon because it is durable and washable and we insist on the stainless steel buckle because a plastic on will break. Always.. Eventually. 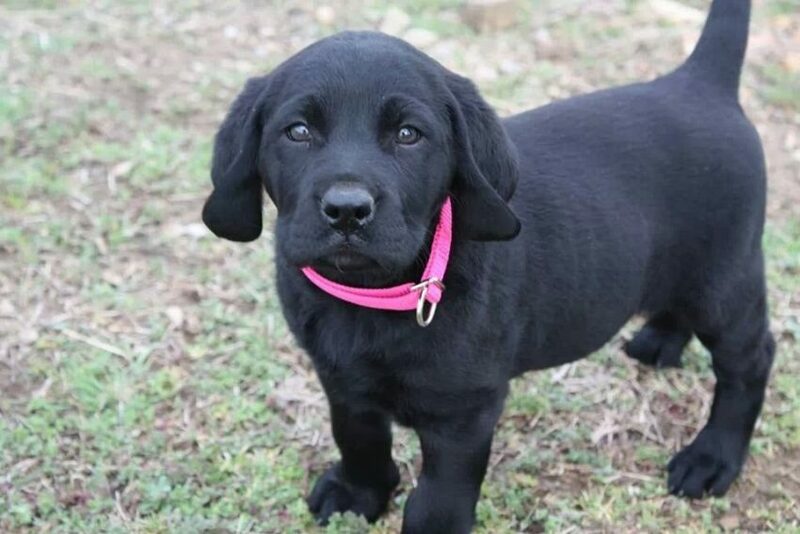 Here is the one we have for Guinness on Amazon, affordable and simply said a dang good dog collar. 5-star. If we take Guinness out in public we always have a halter on him. If there are issues with people or other dogs you NEED to be able to control your dog. I have seen more times than I can count, dogs pull out of their collar when the handler was hanging on to it either directly or with a leash. A dog fight ensues, a dog runs off or other unmentionables that might involve traffic, police or people who don’t like dogs. We have used a lot of different halters over the years. As Guinness grew, we would get a different halter for him. Almost all that go around the chest as well as his neck worked well. The most important factor when choosing a halter is to make sure it fits. Take your dog to the merchant and have him try it on! If they frown on having your dog in there business, go somewhere else. Here is a link to the Amazon Search for dog halters, take a look, read the reviews, note the rating and get an idea of all the different kinds. this will give you a guide to go by when you are actually shopping. As far as a leash goes, this is my recommendation. Buy a 6′ Nylon (at least 1″ wide) with a steel clasp on the dog end and solid wrist loop on the handler end. Don’t waste your money on one of those retractable long corded leashes for your black lab. They will get tangled on trees, benches, people, other dogs and if your 100 lb lab takes off on a dead run with 20 feet of slack, the cord, the leash or your arm is gonna break. You want your dog to be relatively close to you if you need to control them. Save the long corded retractable leash for your unruly grandson. there is a ton of good, affordable leashes on Amazon. Here is a link to those Leashes. Remember: Buy a 6′ Nylon (at least 1″ wide) with a steel clasp on the dog end and solid wrist loop on the handler end. 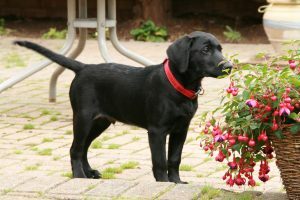 So now you have seen my list of must-haves and some tips and tricks that I have learned over the years in raising Black Labs. Hopefully they were some help! Please comment if you have any questions or more to add!